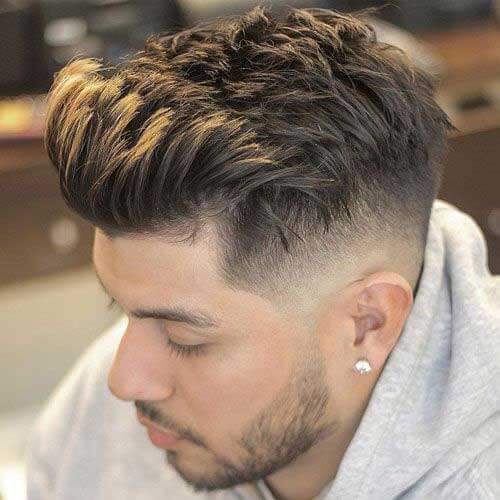 The low skin fade haircut is a stylish and popular hairstyle whose main feature is cutting the hair to a bald level 1-2 inches from the ear and back hairline. 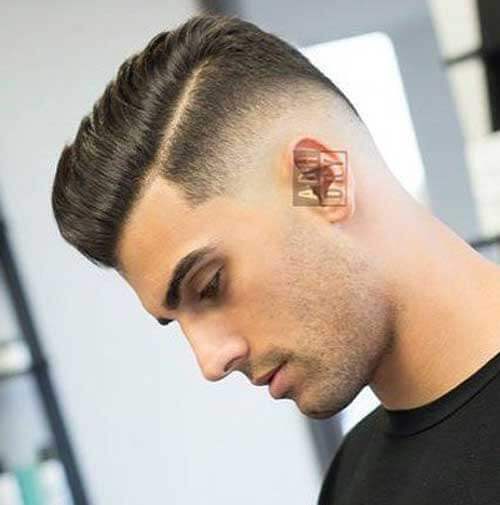 It is a nice way to amp up any haircut and typically leaves some longer hair at the top. There are also several ways of altering this brilliant cut to create different looks. 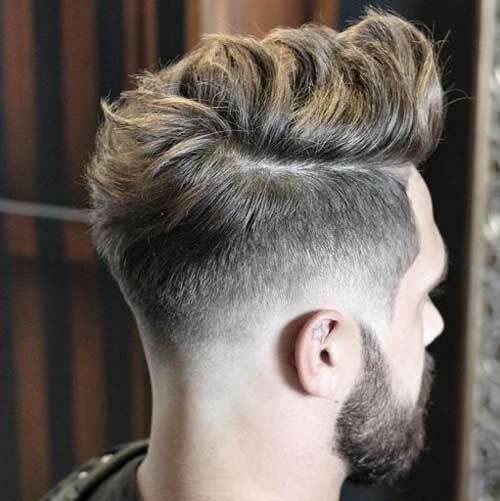 Here are some low fade ideas that you can try out! Pompadour hairstyle is ageless and cut that will always make men look refined. 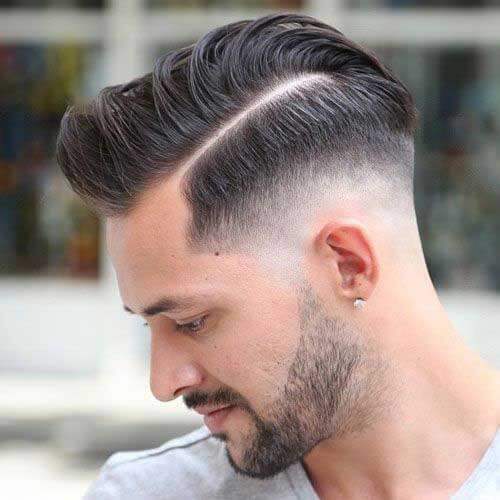 But, this modern style is cut with a side part and a low skin taper fade on the sides and back that make it look more sophisticated. The low bald fades enhance any haircut and help you break away from the normal long top with short sides style. In this picture, it makes the brushed back hair and layered bangs at the top look very trendy. 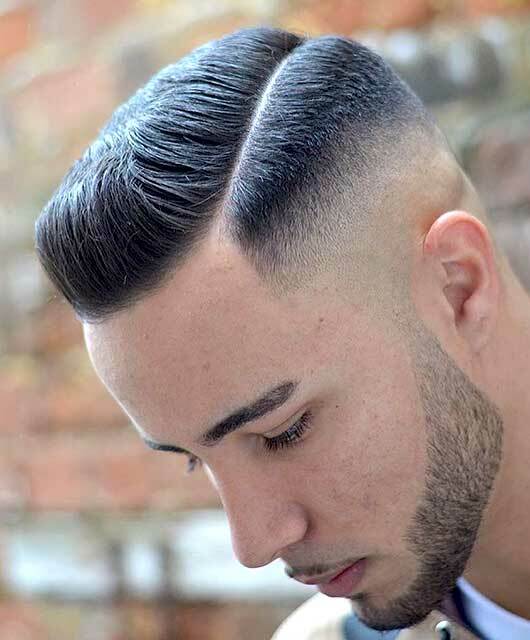 A low skin fade comb over adds a modern touch to the classic side swept hair cut. 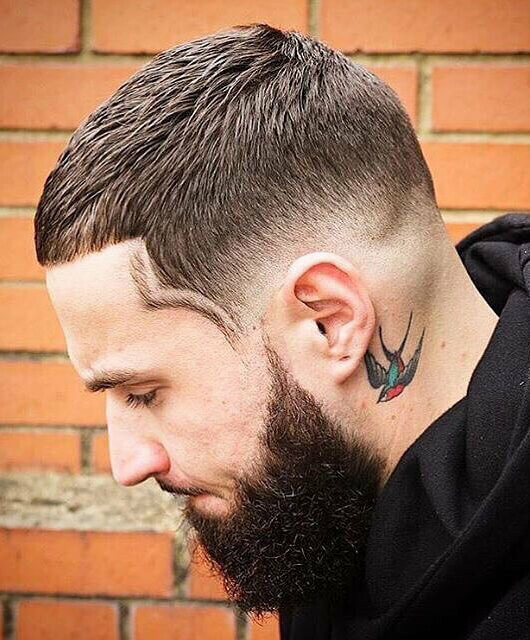 This style features a low fade down to the skin and all the way around. The look dramatically raises the hairline and creates a clean cut finish. The low skin fade mohawk is one of the most popular haircuts for men and looks especially great with black hair. The hair is left longer on top, while the sides are cut short and tight. The low fade is sharper at the back giving it an angled look. The fact that these are natural curls means that you will need some quality hair product to style it. And if you finish your sides with a skillful bald fade like in this picture, you will look exquisite. This haircut starts by chopping off strands to create edgy thick waves at the top and also fading the sides. You will need some hair product to style the textured top and to give it a perfect hold. 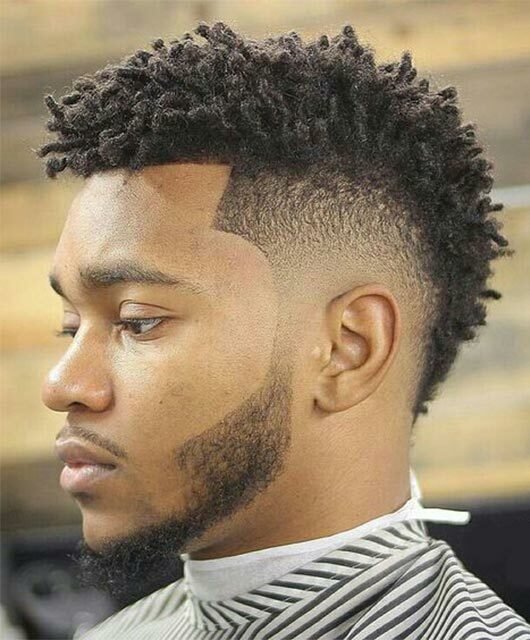 This style works well for guys with a thick natural hair. 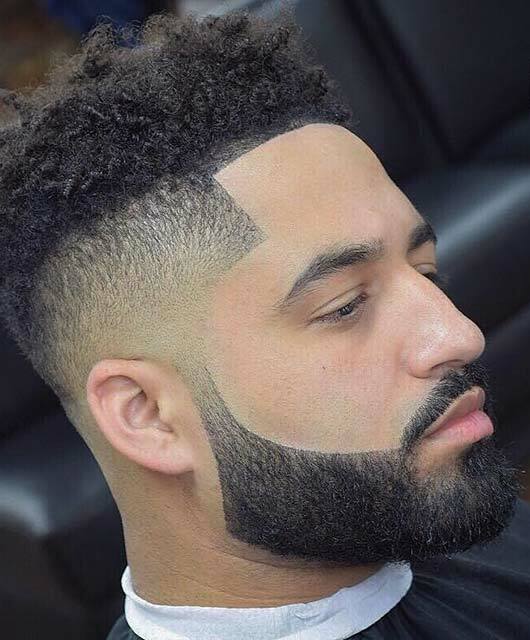 In addition to working well with different types and lengths of hair, a low fade can also be worn with a beard. 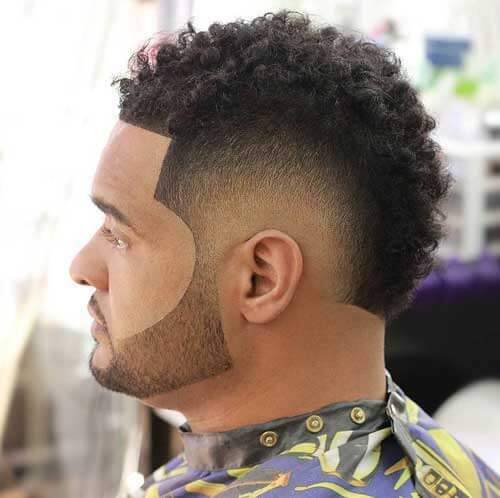 The hair is allowed to taper down the temple and to the facial hair at the sideburns for a natural transition between the faded hairstyle and beard. Like all low fade necklines, the growing out process looks seamless so you won’t need to visit the barbers weekly.